MarineLINE® 784 from Advanced Polymer Coatings, is the premier cargo tank coating system available for chemical and product carriers, and the only high-performance lining that withstands all IMO approved chemical cargoes. MarineLINE® is generally recognized as safe (GRAS) for food grade cargoes. MarineLINE® 784 coating complies with the FDA and all applicable food additive regulations. More chemical resistance than stainless steel, phenolic epoxies, and zinc silicate coatings. Superior resistance to acids, alkalis, and solvents; maximum versatility to carry CPPs, PFADs, Bio-Fuels, and Methanol. Virtually non-permeable for assurance of product purity. Superior bond strength and adhesion. Very low VOC - 99 grams/L (0.80 lbs./gal.). Resistance to wear, abrasion and impact. 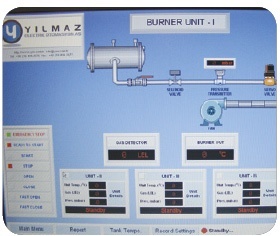 Thermal shock resistance -40°C to +150°C (-40°F to +302°F). Shipowners generate strong return on investment (ROI). Faster, easier, more efficient cleaning due to non-absorption, low surface energy, and smooth surface. 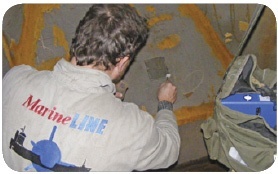 Inspection of tank coating application and curing by MarineLINE® professionals. Easy tank cleaning with fewer slops, and fast drying. Minor tank touch-up repairs are done easily. Choose the right cargo tank coating — MarineLINE® — to take advantage of the greatest sequencing possibilities and the opportunity to carry the most profitable cargoes. 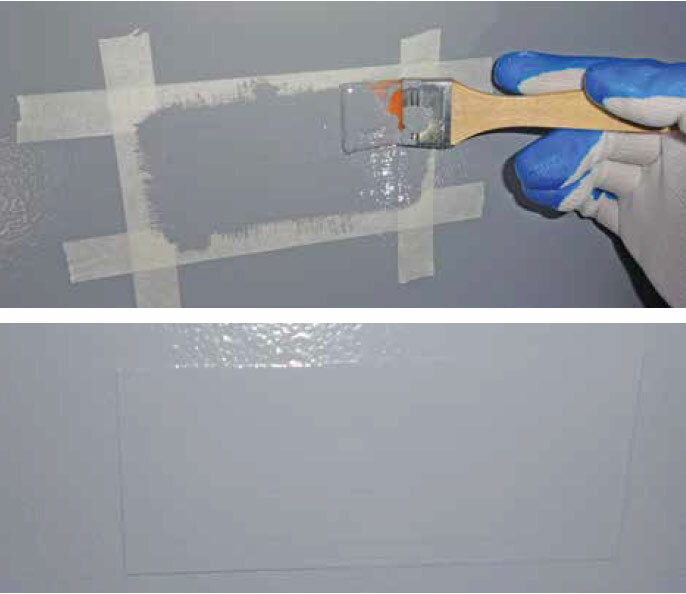 This 5-year comparison of MarineLINE® versus Phenol Epoxy coatings shows the tremendous difference in Additional Return On Investment. Chart calculations are based on data accumulated from a number of tanker shipowners. MarineLINE® cargo tank coating is fully cured when leaving the shipyard, so additional income is earned as MarineLINE® can immediately carry all cargoes on the MarineLINE® resistance list. The MarineLINE® cargo tank coating has been applied to more than 700 maritime chemical and product tankers, covering over 10 million square meters of surface. The majority of ships coated are over 8 years old with some over 15 years old. 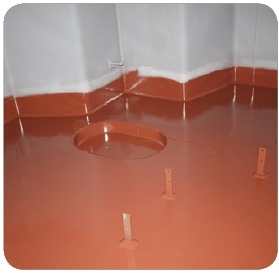 MarineLINE® has been applied successfully in major shipyards around the world. These tankers have carried thousands of different chemicals, including Acids, Caustics, Solvents, Inorganic Chemicals, and Edible Oils, with some tankers changing their chemical cargoes up to 85 voyages a year. APC’s MarineLINE® coating withstands the stresses of twisting and bending in rough seas while resisting temperature extremes of the cold Baltic winters to the hot Middle East summers. MarineLINE® 784 is formulated with a patented polymer, designed and engineered with high functional groups per molecule. When heat cured, MarineLINE® 784 coating forms three-dimensional, screen-like structures with up to 784 cross-links. This far surpasses Epoxies that only deliver two functional groups with only four cross-links. This is only a Reference Guide. This is an abbreviated listing of MarineLINE® capabilities. See the MarineLINE® Chemical Resistance Guide for full capabilities. The end user is responsible for determining if MarineLINE® is the appropriate coating for the specific application involved. 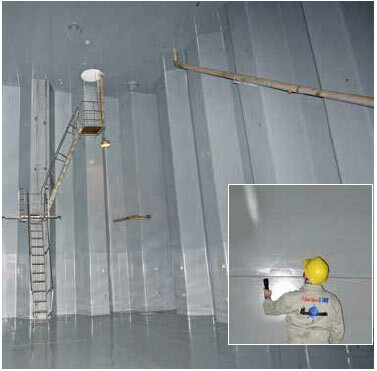 MarineLINE® 784 covers the widest range of chemicals carried by a marine cargo tank coating. 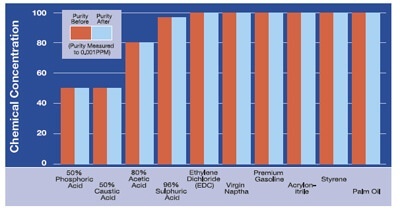 This abbreviated list shows some of the corrosion resistance performance offered. Over the past 10 years of voyages of MarineLINE® coated vessels, the tanks have never had a contamination claim. As this chart illustrates, the cross-linked structure of MarineLINE® coating does not absorb the cargo, thus ensuring product purity, from port to port. To ensure the performance of MarineLINE®, it is imperative that APC provides inspection services throughout the entire application process. APC focuses on the importance of good surface preparation, correct application, and proper heat cure, in a six-step approach. MarineLINE® has set the benchmark regarding heat curing, and spark testing the entire tank surface. APC has joined forces with Helvetia Group, the Swiss-based insurer, to offer a specialized insurance program to warranty the application and performance of MarineLINE® cargo tank coatings. This insurance program covers shipowners and operators on the MarineLINE® tank coating for a specified warranty period up to 5 years. With the Helvetia program, APC offers customers a true ‘turn-key’ solution for their cargo tank coating. Taking care of your MarineLINE® cargo tank coating with proper cleaning and regular maintenance can provide years of profitable service. 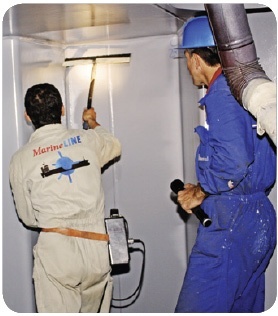 Well maintained MarineLINE® tanks have been in service 10+ years, and are still performing well. The following UNRETOUCHED photographs of tankers at various inspection intervals provide some insight into the performance of MarineLINE®. 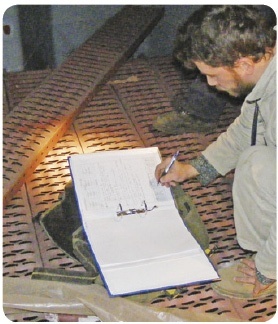 For some tanks, minor coating repairs have been made using the MarineMEND Repair system (see below). MarineLINE® 784 has an ultra-smooth, glossy, low energy surface that reduces venting time, uses less cleaning chemicals and less fuel/energy for cleaning equipment, and leads to faster turnaround. A wide range of approved cleaning detergents and chemicals can be used to clean and prepare the coating for next cargoes allowing the shipowner/operator to maintain the coating with minimal effort. The MarineMEND Repair System Kit is designed for minor repairs of MarineLINE® coated cargo tanks. 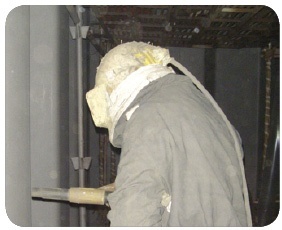 The repair procedure can be used when the coating has minor mechanical damage. (Top) MarineMend coating repair in progress. (Below) Finished repair.